Ice feminized cannabis seeds are a typical mixture Sativa/ Indica with an impressive look when the buds are all fluffy white. By buying this product you can collect up to 3 loyalty points. Your cart will total 3 loyalty points that can be converted into a voucher of $0.67. To get to the Ice we all know now there has been a history of breeding and mixing with ancient Afghani, Silver Haze, Northern Light and a Skunk kind. Eventually the birth of Ice happened and this kind truly has all positive properties inherited from its famous ancestors. Ice prefers to grow indoors but with the right stable weather conditions you can grow her outdoors as well. Ice is a name that suits her well, as the buds grow big and thick like cola bottles the layer of white resin give the buds that icy look, cure them well and you won't be disappointed at all! As the flowering phase begins Ice still smells a little neutral but that will change into a fresh green smell with a hint of citrus. The effect you get from smoking the buds depends on how much your intake is. When you keep it cool and leave it at a few puffs you get high but active as well, smoking more of Ice gets you into a state of a couch-locking feeling that stays with you for a few hours. Ice feminized seed strain is the ideal indica-dominant hybrid variety for hash lovers and bedtime smokers. It gets its name because it appears so frosty due to the fully covered resin glands, sparkling just like ice. 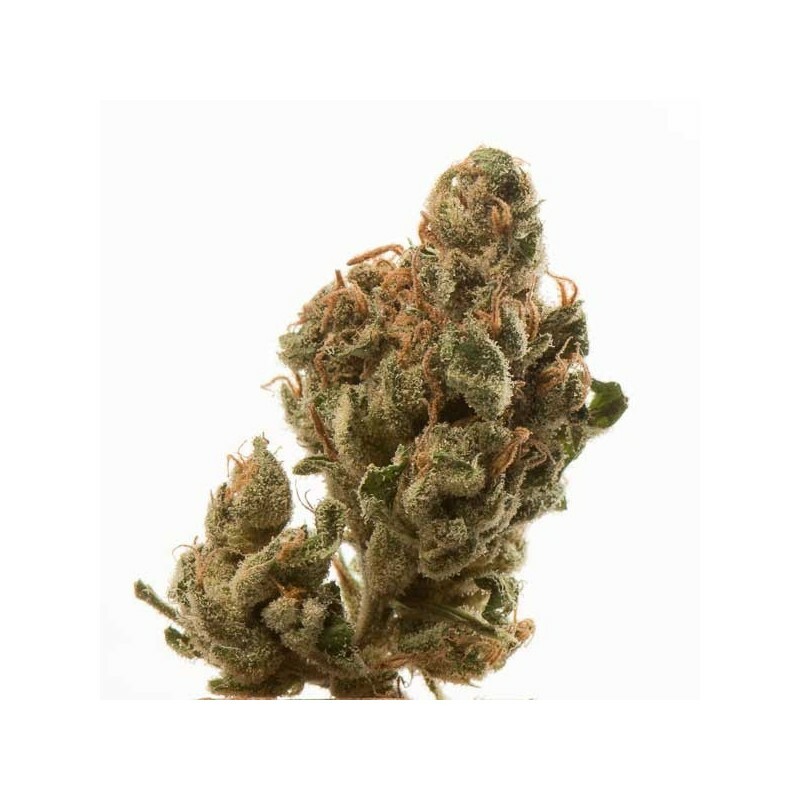 It is a cross breed of 3 classic marijuana strains: a special Skunk, classic heavyweight Northern Lights and traditional Afghan, resulting in a variety that is 90% indica and 10% sativa. This combination produces one of the most body-heavy and relaxing highs of any hybrid variety in the market. Essentially ICE stands for Indica Crystal Extreme, but folks have derived their own meanings over the years. This splendid indica-sativa hybrid offers an extremely awesome yield. For indoor cultivators, it is a great choice for cultivators looking for the kind of weed that works fine in both soil and hydro systems. It can also be cultivated outdoors in areas with Mediterranean or temperate climatic conditions. The buds that it produces, are thickly covered with trichomes, and feature a highly dense structure with high flower-to-leaf ratio. The upper parts of the branches and main stem are covered with solid colas. Ice feminized offers a heavy pot with a sweet, rich and resinous flavor, which has a sharp aroma too. And, the effect mainly depends upon the amount of intake. If you take just a few puffs and keep it cool, you get active and high, but smoking more of it pushes you into a couch-lock feel that lasts easily for a few hours! I've ordered begin march 5 100% female ICE seeds. After i planted 2 of them, when it grow abt 40 cm i noticed a big difference between those 2 plants. One of them had very wide and thick leaves with a purple like glow at the edge of every leave while the other plant had very small and long light green leaves. Seems to be 2 totall different plants!!!! But hey, they both came out and the grow very good and as i can see already its gonna give very nice buds! how long can i store Your seeds and still have almost 100% germination rate?